I'm one of the organisers for NottsTest, and certainly one of the biggest challenges isn't venue or beer or pizza. It's content. You're asking people to give up their time to prep, rehearse, travel and deliver content for free to (mostly) strangers. November was easy though. We'd agreed in August that our hosts were providing a talk in November - a retro on implementing Modern Testing as practice across all of Engineering. This was a follow-on from the talk their Head of Engineering had given in early summer on his plans to kick it all off. Then things got tricky. Our host felt it was in bad taste to be championing cutting-edge new practices whilst people's jobs were at risk. We weren't going to get another speaker with ~2 weeks to go, and neither of the organisers had one up the sleeve that we could roll out / recycle. We switched the session to lightning talks, but gave ourselves wiggle room with a backup option of Lean Coffee if lightning talks weren't working. We needn't have bothered - lightning talks were a cracking success! First, I spoke about The Unusual Value of Testing, an experience report from the week, where demoing an API test against a mock API that was validating against a JSON Schema led to other members of the team taking the idea further, applying the same validation on the real implementation of API, moving the API to ReadyAPI and generating the schema automatically, and generating the entire UI form structure from the same JSON Schema along with validation to match. This made the test entirely redundant, since we could be certain (within reason) that the contract that the schema was enforcing was going to be honoured throughout. Next, Dave Rutt spoke about procrastination, that it's not a laziness, but a scientific inevitability when faced with more time to perform a task than is needed. If you've got 9 months to build a product, you'll procrastinate because you've got loads of time, your monkey brain finds you more entertaining/engaging tasks to do, and your limbic system never gets engaged. If you've got 2 weeks to deliver an iteration, you'll get on with it. Defeat your monkey brain with agile! Third, Keith spoke about hashing. Not that kind of hashing. Nope, not that kind of hashing either. This was about an athletic activity! Hashing is a collaboration of a team to complete a run with a lot of dead ends and false trails. The idea is that the team complete the run together, not that the fastest runner completes first, so for example, the fast runner could run ahead and scout dead ends. Next came Christian with an announcement on behalf of Ministry of Testing and the Software Testing Club. The Software Testing Clinic is starting in Nottingham, offering peering and mentoring with other testers on specific skills, all for zero pounds of your money. I'm looking forwards to trying this format out, and reckon this should be a great complementary event to NottsTest! Penultimate talk was by George, who spoke about the feeling of being secure on the internet, and why you're wrong. He spoke about the recent site that demonstrated being able to see personal info from an Incognito Window, and promised a fuller talk & demo in the future. Lastly, I had another shot at a lightning talk, this time about being Five Out Of Five, what keeps me there, the Nine Kinds Of Motivation, and why everyone should do something that motivates them. This generated a lot of discussion, so we're considering running an entire evening on careers, CVs, interviews and even the awkward topic of tester salaries! Have you ever played a game of Shared Assumptions? You might've. I made the name up. It's a game I've both seen as part of training courses on specification ambiguity and something I would swear I invented when drunk once. Do you remember Guess Who? It's a game where players take turns asking yes/no questions about the appearance of the character on their opponent's card, aiming to be first to identify the character their opponent holds. If you've never played these rules, I truly encourage you to try this game. In facilitating this game, I always emphasise that they're playing in a "safe place" because anything you say about a person's appearance must be based on some other characteristic, and so is by its nature, based on a social stereotype of a characteristic, and often a protected one, like age or gender. remembers the "good old days"
I've loved playing and facilitating this game, showing groups that in about two thirds of games there's no winner because the pair didn't share an assumption somewhere along the line. Watching team members dissect where they went wrong and debate whose assumption was incorrect was great to watch. Of course it's an argument between adults over a children's game, but it also highlights the people who want to understand why they're not getting the best possible results. There's loads of positives about playing this game in a work setting and the lessons it can teach you about teamwork and the lines of the specification that were only ever implied. 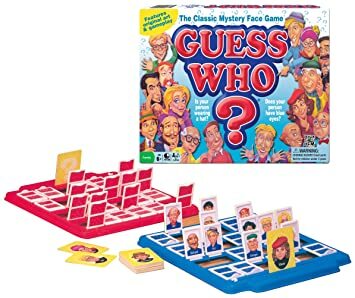 The single greatest positive I've taken from this game is the look on my kid's face when he realised I get paid to play Guess Who. 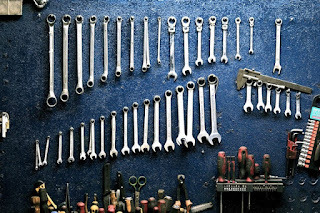 A story about selecting tools from my previous job. In the dark days, we explored as a user would, and when things changed, we explored again. Later, it got lighter, and we used tools like Fiddler to help us explore. We saw more, and we used our tools to explore deeper than we could before. Before too long, we started automating. One time, we encountered a problem where we needed to know if a piece of common markup (in this case, a support popup) displayed correctly in all of our sites, in all of the browsers and in all of the languages. We automated visiting all of the pages on which this markup was displayed, taking a screenshot, then quickly reviewing the hundreds of outputs. The cost/benefit was obvious here - one person achieved more with browser automation in a day and a half than a group of people could have done using manual methods. Later, we used our browser automation skills on other tasks and on other projects - some of it was for confidence in the project, and some was for confidence in the live environment (i.e. used for monitoring). Important people saw this work and they wanted to see more of this. So we stopped. Automating all of the things isn't necessarily beneficial, especially not when you're using a heavyweight tool (in our case Nightwatch.js and Selenium). We didn't want to build a massive body of tests where all of the variants were taking many seconds to iterate through. We needed to cover these with something more lightweight, and only use the UI tests when we need them. We do want to automate more of the things. We just don't want it to take hours running them through a real browser. We also don't want to automate everything just because we can - we want the things that are important to us, and will give us real information and confidence in an acceptable timescale. Our next step: API Tests. The session was fantastic fun. We had a mix of skills where some people were naturally bent towards an aptitude for this sort of thing, and it naturally lent itself to pairing when people solved quite how apps authenticated with Twitter (this wasn't trivial, and the docs felt fragmented). At the end of this session, we'd eliminated a few tools as being not feature rich enough for our use cases, or plain too ugly or hard to use. We ditched pyTest, Karate and a couple of others. We ditched everything except Postman and Frisby.js, as these seemed most capable of completing the tasks. I was investigating Frisby for this session, and you can see the challenges I set and my work to solve them on GitHub. We regrouped two weeks later where we ran a second session. We each picked either Postman or Frisby (except the two of who used those tools previously - we switched). I provided a new set of challenges, this time inside our business domain - real tests against our live APIs. Given the limited amount of experience most people had gained on API testing by this point, this was still a non-trivial effort. We learned loads and gained velocity given that we had the domain knowledge. The result of the session? Surprisingly inconclusive. 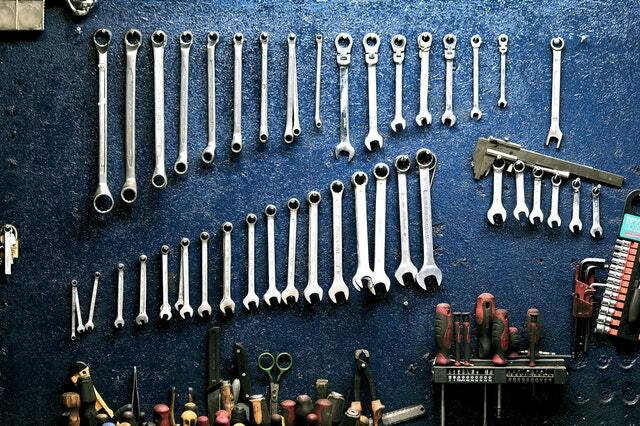 As it turns out, these tools have different strengths and are useful for different things. We decided that Postman was great for exploratory testing and Frisby was great for regression testing. Postman has a testing ability, but felt primitive compared to what you can do in Frisby. Frisby could be used for exploratory testing, but it'd be time consuming. We decided to start implementing regression tests in code whilst also purchasing Postman Pro licenses for the team to use for feature work. The team felt enabled - every time we considered automating a browser interaction, we could immediately consider pushing UI tests to API tests. Of course, the journey doesn't end there. When can you push an API call to a simulated calls in an integration test? And so on to component tests, then to unit tests.